Richmond’s newest Tex-Mex restaurant, is now open! Proceeds from their April 21st give-back event and donations collected during their soft opening, resulted in a generous gift of $2,500 to support Children’s Hospital of Richmond at VCU. 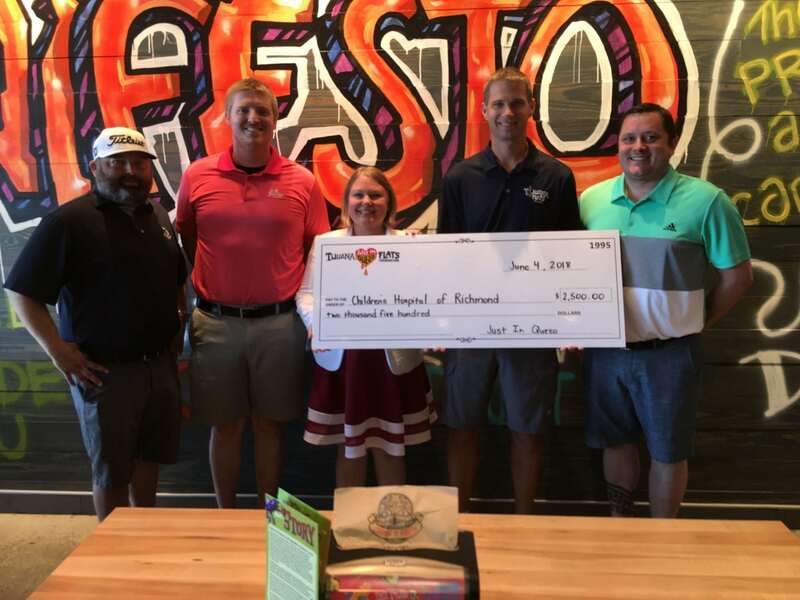 Executive Director, Randy Steil, of the Tijuana Flats Just In Queso Foundation, along with Adam Moore, Area Supervisor and Patrick Peterson, GM of Willow Lawn Tijuana Flats, presented Rachel Bruni with the gift at the restaurant yesterday. Many thanks to the local team for helping to raise these funds and for everyone who dined in support of CHoR!